According to AARP, more than 10,000 people turn age 65 every day in the U.S. As baby boomers retire, they are redefining where and how they want to live. Over the years many soon-to-be retirees seek to retire to the Big Island, especially the Hamakua Coast. They appreciate the laid-back lifestyle, incredibly lush scenery, and year-round tropical weather. Kuwili Lani, the island’s first-ever agrihood, is an intentional community in Laupahoehoe based on sustainable best building practices and use of renewable energy sources. Homes here will be built using green building practices and homeowners are encouraged to grow their own food on each of the community’s 11 one-acre lots. A thoughtfully designed gated community, Kuwili Lani is ideal for those looking to retire to the Big Island. The community’s emphasis on sustainability means homeowners will enjoy a lifetime of greatly reduced (or near zero) energy costs (The subdivision will receive all its electricity from renewable energy sources.). Since Kuwili lot owners are encouraged to grow their own fruits and vegetables, food costs for homeowners will also be greatly reduced as their crops mature and bear fruit. The guesswork of trying to figure out what foods to grow on your property has already been addressed. Kuwili Lani’s developers hired an agricultural consultant to determine what trees and produce will grow best on which lots within the subdivision and each lot owner is given this plot map upon purchasing in Kuwili Lani. Plus, the developers can also provide guidance on managing vegetable gardens and crops for homeowners who do no have a green thumb or are unable to do farm work themselves. As a small gated intentional community, Kuwili Lani provides a connection among those that share the ideals of sustainable and intentional living. Those looking to retire to Hawaii have the added advantage of being able to design their own home geared towards their golden years. Kuwili Lani is located in Laupahoehoe along the Hamakua Coast of Hawaii island where the climate is ideal for growing almost anything. 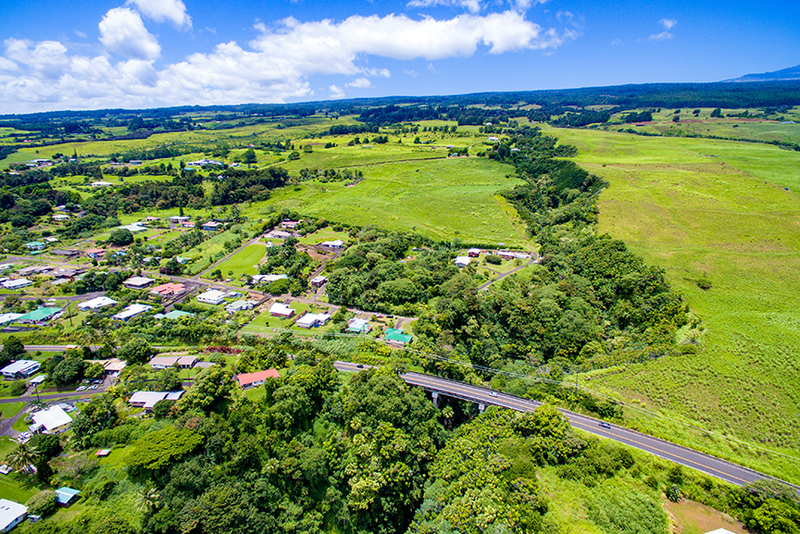 Laupahoehoe is situated between Hilo and Waimea, both of which have many amenities, such as cultural events, airports, restaurants, shops, hospitals, and medical facilities. There are also several amenities in Laupahoehoe, including a large park along the shoreline that includes a senior community center with weekly activities, a community pool, museum, gas station, and police and fire stations. Kuwili Lani is truly one of a kind and a wonderful place to live for those wishing to pursue a sustainable lifestyle in their retirement.